Cookie Carts | Carting cookies your way! We all want our loved ones to know that we are thinking about them. But sometimes we don’t have time to bake, package, and ship something wonderful and fresh. Cookiecarts to the rescue! With three kids in college, we have a lot of practice and we have this down to a science. 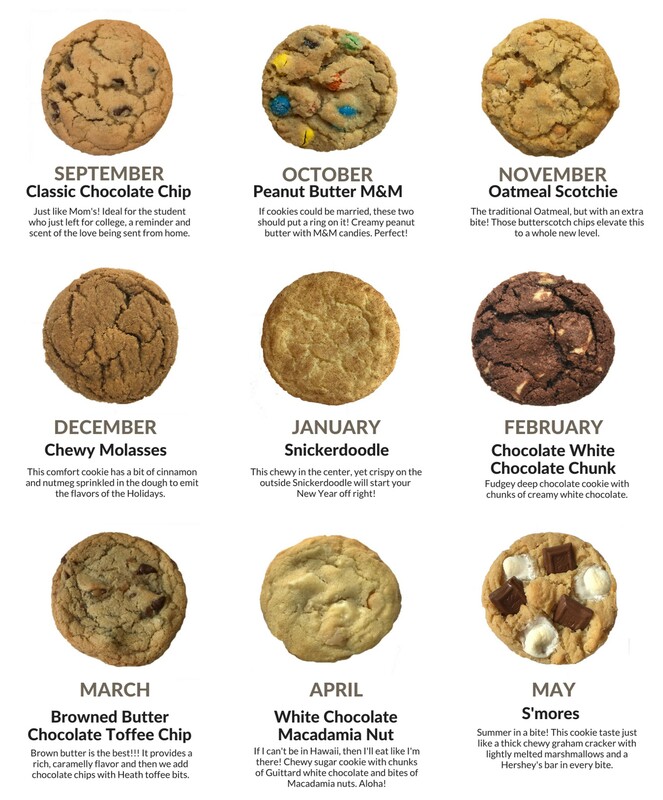 Subscribe and rest assured knowing your student will receive a box of freshly baked cookies every month all year long. We bake delicious wholesome cookies in our commercial kitchen. Only the finest ingredients are used such as King Arthur flour, Tillamook butter, and real Madagascar vanilla. Freshly baked cookies are beautifully packaged then securely packed and shipped via USPS Priority Mail to ensure that cookies arrive fresh and delicious. Your student will happily receive a little taste of home each month, and since we ship 2 dozen cookies with each order, there will be enough to share with new lifelong friends. We think our cookies are pretty special. Here are a few notes from our happy customers. Hello, and thanks for stopping by! I’m Peggy Cunningham Orse, and I love to bake! I started baking as a young child, and have wonderful memories of climbing on a stool to reach the counter, sifting flour, cracking eggs, and stirring while wearing a little pink apron. I’m a Seattle gal from a large family, where food and humor were always at the forefront. After graduating with a degree in Public Relations from Gonzaga University, I worked in Corporate America until our first child was born. Now with one child at home and three on their own adventures, I feel my nest becoming smaller. What to do? Well, I have always said to my kids, “Do what you love, and love what you do!” I love raising my family and I LOVE TO BAKE! And, with three in college, I have a lot of practice. 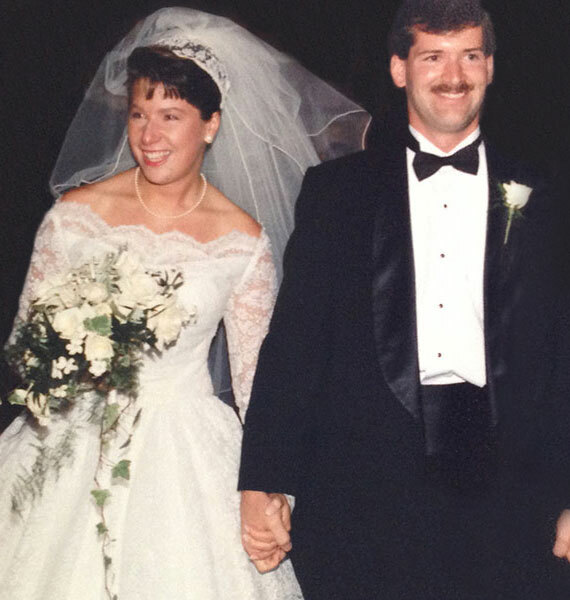 It seems only right that I should launch this business on my 26th wedding anniversary. I am married to my best friend, and biggest supporter. I could not do what I do without this wonderful man. Thank you, Eric! I LOVE what I do, and I’m hopeful you’ll LOVE what I bake!